Trafficking Duck Dynasty. . . What’s The Real Message? . . . I walked into a “Christian” bookstore this morning. . . a big one. And just like every other time when I walk into a “Christian” bookstore, I checked out the layout of the merchandise and the merchandise that populated the layout. There’s a method to these retailers’ marketing madness. Certain things are put in certain places to catch attention and spark sales. . . . just the like the grocery store. . . where the milk and bread is strategically located in the opposite corner from the store entrance. I’m convinced that one of the important skills we need to develop is the skill of “reading” layout, location, and the merchandise on the shelves. We need to be present-day men and women of Issachar, who know and understand the times. . . and know what the church (followers of Jesus) should do (I Chronicles 12:32). Which leads me to this. 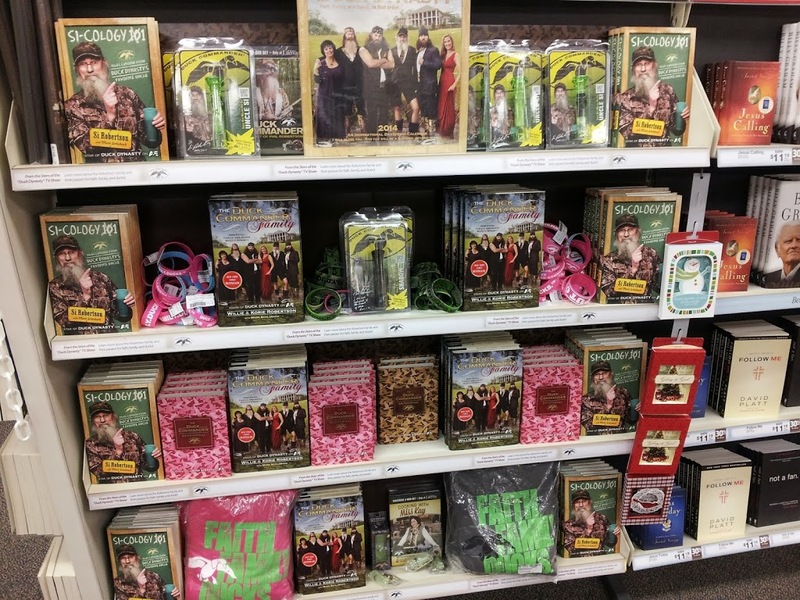 . .
On this morning’s bookstore visit I was greeted by an entire rack of Duck Dynasty product. . . duck calls, books, bracelets, devotionals, Miss Kay cookbooks, T-shirts, calendars, DVDs, etc. Yep, front and center. Why? Because we Christians will market anything. . . especially if it’s related to our hero/celebrity du jour. And, we Christians are suckers for marketing. We will buy anything and everything related to our hero/celebrity du jour. Yes, as I walked away from that front-and-center display rack I turned around and saw a table loaded with even more Duck Dynasty junk. . . .including bobbleheads, miniature Uncle Si Teacup Keychains ($4.99 a pop! 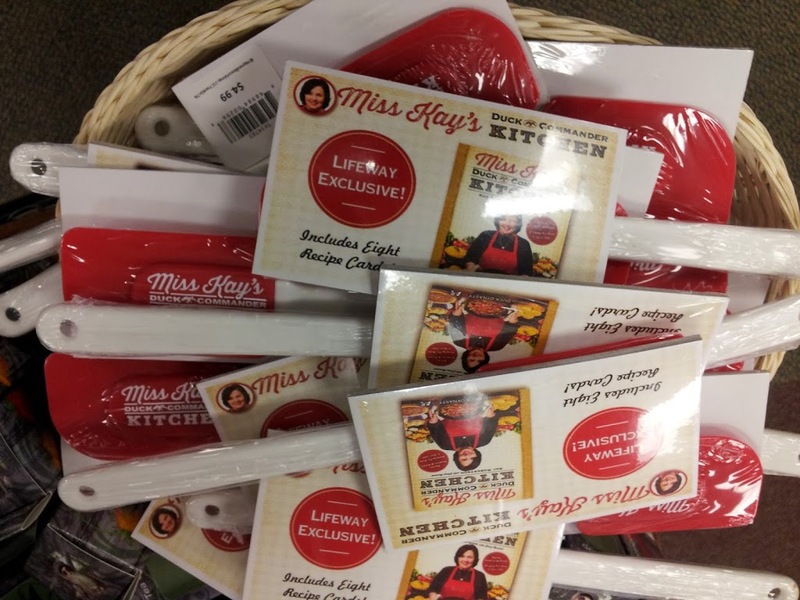 ), and a Miss Kay Spatula. Seriously. . . I’m not making this up. For years, the Robertson’s have been making duck calls. I’m not a hunter, but I understand that they’ve done a very good job. Their commitment to fulfilling their calling with vocational excellence gives God great pleasure. But have we facilitated a situation where that calling has been compromised through commitments to mass marketing, brand development, and Christian kitsch? So. . . here are the questions I’m asking as I endeavor to know, understand, and respond to the times. . .
-Are the Robertson’s being trafficked and pimped by the church? -What does the glut of Duck Dynasty product say about the church? -What does our excitement about this stuff say about us? 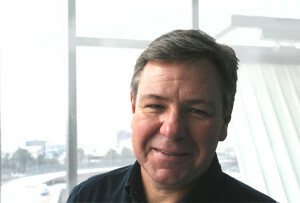 -What does how we spend our money and what we spend it on say about our priorities and our understanding of stewardship? -What does this stuff, the way we market it, and our fascination with it say to the watching world? -No offense to Si, Phil, or Miss Kay, but is it possible that we could go deeper in our reading and devotional lives? Somehow, I think we are and are called to be better than this. ← Five Books I Read Last Year. . . That You Should Read in 2014! . . . I appreciated your questions at the end of your post and will be spending some time this afternoon mulling them over and answering them! Thanks for this great post! Reminds me of the time I went to a screening of Veggie Tales, Madame Blueberry (stuff mart, etc. )….when I walked out, there was a line waiting to buy the video tape and who knows what else!